Darth Sunshine: Biggest Blog Hop EVAHHH! wow, this is gorgeous...so elegant...Happy Fall! What a lovely Fall creation, Dana!! I am so glad you are participating in the hop today! Pure fall gorgeousness!! Love the dimensional leaves and the fancy sentiment font! Beautiful fall card, Dana! Love the popped up flowers...the cutting was worth the effort! Thanks for the chance to win some goodies...my favorite fall holiday is Thanksgiving. I get so sad that it sometimes gets lost in the hurry for Christmas, but I love the opportunity to give thanks to the Lord for His many provisions! This hop is amazing...love all the talent! Have a wonderful Labor Day! What a gorgeous fall card...the leaves look sooo pretty, especially with the splash of watercolor and I love how you added the sentiment in the center!!!! great card! i would never have thought to put those colors together, but it worked out nicely! my favorite fall holiday is Thanksgiving (mid-October here). family, good food (turkey & fixings!) & changing fall colors spell PERFECT to me! Just beautiful! I love the leaves! I don't love to cut stuff out either, especially because I've become spoiled by my cricut and sizzix... but these leaves on your card are gorgeous and worth the effort! This is my first visit to your blog but I will return! My fav fall holiday? HALLOWEEN! It's my favorite holiday of all -- lots of fun and not a lot of stress. and CANDY. Who doesn't love a holiday that revolves around candy?? Very pretty! I love the dimension of the leaves! Oh those leaves are utter Fall beauty!!!! Have an awesome day, you laughy stamper, you! Love, love, the colors you used. I always seem to lean towards the traditional fall colors (which I do love), but yours are fantastic. Halloween is definitley my favorite fall holiday, cause there are no rules!!!! Love the purple color on this wonderful fall card! Your card is lovely, I really like that fancy script sentiment you used. My favorite fall holiday is Thanksgiving because I love all the traditional foods we prepare for the big holiday meal and just sitting back and enjoying the company of my husband and dog before the madness of the winter holidays set in. Thanks for the chance to win! I love love love the leaves on your card - and wouldn't have thought to use Elegant Eggplant - love it!! 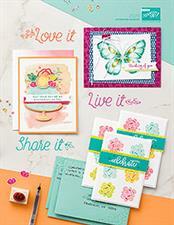 What a PRETTY color combo and some FAB stamping - I love the text on your leaves!! I love the colors you used! My favorite fall holiday is Thanksgiving. Family together, food, and relaxing. I thought I'd just blitz through this hop to see what's up and it's been about an hour and I've only gotten this far! I am enjoying looking and CASE-ing and getting inspiration! The colors you used on this are very appealing. Reminds me of my favorite fall holiday--thanksgiving--a time for family and memories. Lovely fall card Dana. Love those leaves and the touch of purple! Just perfect. I think I love Thanksgiving the best. I'm originally from Europe where we don't celebrate this, but it is such a lovely thing! We should say "Thanks" more often anyways! Holy cow! This color combination is like the most beautiful one in the WORLD!!! I LOVE this card!! I agree the cutting and popping the leaves up is fantabulous! thanks for the chance to win. i love this hop cause it is inspiring to get a start on all my fall projects. The colors you used on your leaves are gorgeous! What a beautiful creation! My favorite holiday of the year is Thanksgiving! That's when my family and a few close friends get together - and we have a very yummy dinner! Beautiful card! The effort cutting out those leaves was so worth it!!! My favorite fall holiday is Thanksgiving! Beautiful card!!! My favorite Fall holiday is Thanksgiving - I just think it is a great reminder to be thankful all the time!!! Great card!! Those leaves look phenomenal! I just love your splashes of colour on your leaves! I love Thanksgiving because it means that the garden has been harvested and I get a break until spring! I'm just crazy about leaves and you made some awesome ones!! WOW this hop is fun. I love that you took the time to cut out the leaves. I hate to cut things out too. Super duper card! My favorite Fall holiday is Halloween. We go to the church and decorate the trunk of our car in a harvest theme with pumpkins and leaves. And then we give out candy to the children as they go by our decorated trunk. It is our alternative to Trick or Treating and it is much safer. Wow Dana! This card is gorgeous!!! I love, love, love it!!! My favorite fall holiday is Thanksgiving! Your card is beautiful! I love the color combination! The eggplant is so unexpected but a lovely addition to your card. I also love all of the cut out leaves. Thanks for sharing and for the chance to win the goodies:-) My favorite fall holiday is Halloween because my birthday is Oct31st:-)I always say "I'm a treat not a trick!!!" My favorite fall holiday is Halloween! OK, technically it's not a holiday, but it should be! Love the decorations, and the little halloweeners! Gorgeous, gorgeous, GORGEOUS card, Dana!! I mean, TOTALLY gorgeous!!! WOW!! Love the colors and the dimension. Super stunning! My fave holiday is Thanksgiving because there's no pressure to buy stuff...just be thankful for the blessings we DO have in our lives. Beautiful card--love the leaves. Halloween is my favorite holiday--for fun and for crafting! It's a no stress, totally enjoyable time. Great card! I love the color combo, fabulous! Love this card. The colors are excellent! Great talent! Super cool card!! Love the way it came out. Fabulous fall card--I like the spritzing. My favorite Fall Holiday is Thanksgiving--right near my birthday too--in fact sometimes my birthday is on Thanksgiving. 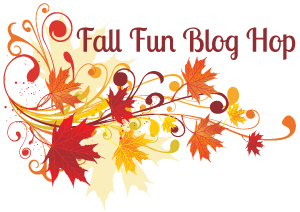 I love your card...I am learning so much from all of these "FALL FUN BLOG HOP" hostesses! Thanksgiving is my favorite. Such a nice long holiday with the kids off..right when I need a break from all the school rush! Pretty, pretty leaves! Worth the trouble, for sure! My favorite time in the Fall is Thanksgiving. Christmas is wonderful, not knockin it. But it's so overshadowed by the chaos and rpessents... Thanksgiving is one of the few days I can usually get ALL the family together in one place. Beautiful card. Love the spritzing. My favorite Fall holiday is Halloween. I decorate the whole house even though my kids are out of the house and have kids of their own. It's just so much fun. This is such a great card, I love how beautiful it is and yet I think I could do something similar. My fav holiday is Thanksgiving. I love to remember my blessings. Love those leaves! Thanksgiving is my fav fall holiday... because I don't have to work that day! TFS! How beautiful!! Love the soft natural colors...and hey, cutting out leaves isn't so bad, ha ha! At least you didn't have to cut out something like a spiderweb! My favorite Fall holiday is Halloween, just because it's so fun and it involves lots of candy!! A very lovely card! My favorite fall holiday is Thanksgiving. The family all gets together and it is just a fun relaxing day. Love the colors in your card, thank you so much for sharing it. 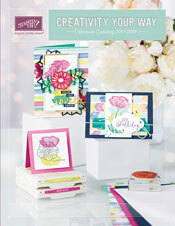 BEAUTIFUL card - and I love how you used the label punch. Thanks for the inspiration. A very lovely card! I find cutting things out kind of relaxing but I know most people don't. You did an amazing job and the results are fantastic. My favorite fall holiday is Thanksgiving. If the kids can come home at all during the year they will do it for Thanksgiving. Nothing better then a house full of loved ones. It may have been a little tedious to cut out all those beautiful leaves but your card is gorgeous! I love the rich purple and gold with the softness of the brown stamping. Thanksgiving is such a lovely time of year. It is a day for everyone, no matter the religion and with out the frantic work of other holidays. We just get families together and enjoy. How much better can it get! I love purple, and it is beautiful. Halloween is my fave! I love fall & fall decorations! I have so many fun Halloween decorations, but my favorite fall holiday is Thanksgiving. I just love the time I get to spend with family & the anticipation of Christmas.